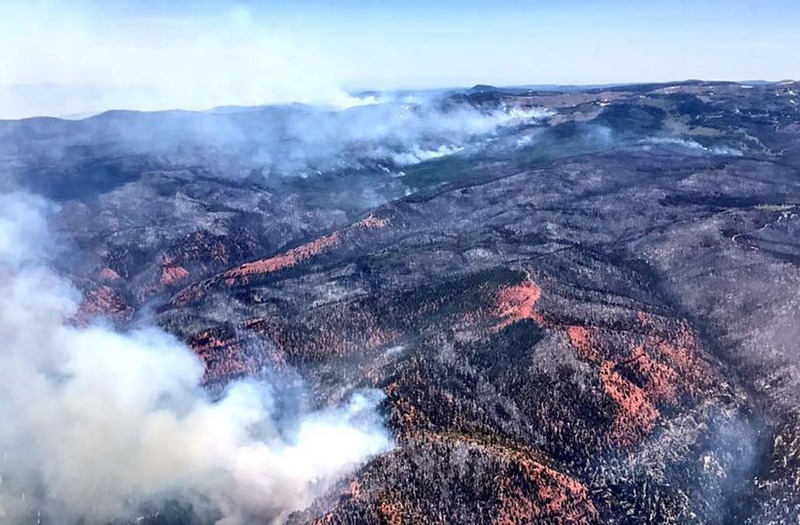 BRIAN HEAD, Utah (KSTU) -- Authorities found numerous cabins and underground bunkers filled with explosives near Brian Head while fighting wildfires in Iron County earlier this year, the Iron County Sheriff's Office said. Bomb experts have since cleared the weapons and explosives from the underground caches and now a Utah man may face charges. Back in June, firefighters in the Henderson Hill area heard popping noises and discovered it was from ammunition exploding in the flames. Firefighters traced the ammunition to a burned down cabin and found an underground bunker nearby filled with dozens of hand grenades that had been altered by drilling out the bottoms and plugging the drilled holes with threaded, galvanized pipe plugs. They also found explosive powder, fuses and ammunition inside. Officers found the person of interest at him home in Parowan on June 30. They said he was cooperative and eventually admitted the burned down cabin and bunker were his. He also told them he had seven or eight more cabins and bunkers hidden throughout the area which also contained firearms, ammunition and food storage. Bomb technicians destroyed the explosives and a "significant quantity of black powder." Investigators determined these cabins and bunkers were on public land managed by the US Forest Service and on land owned and managed by the Utah State Institutional Trust Land. Authorities are still investigating these remote illegal cabins, bunkers and storage caches. Iron County Lt. Del Schlosser said the sheriff's office will present the case to Utah US Attorney John Huber and the Iron County Attorney when the investigation is complete. The name of the person of interest has not been released at this time.